Comfort and style combined with affordability is what this series is all about. 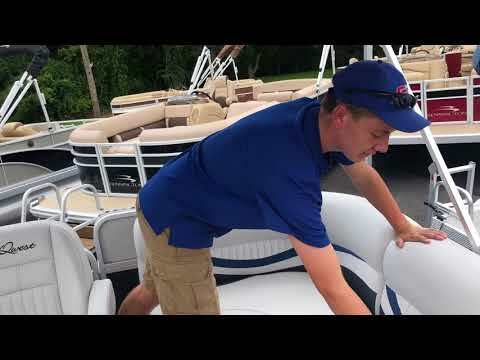 The Edge models are perfect for those who want the style and quality of a Qwest pontoon boat, but don't need all the amenities. Make the most of your time on the water with Qwest Edge. Length Inside Rails: 9 ft.